The word makahiki refers to a time of celebration and the period of Makahiki was a time of peace and plenty, relaxation and games. 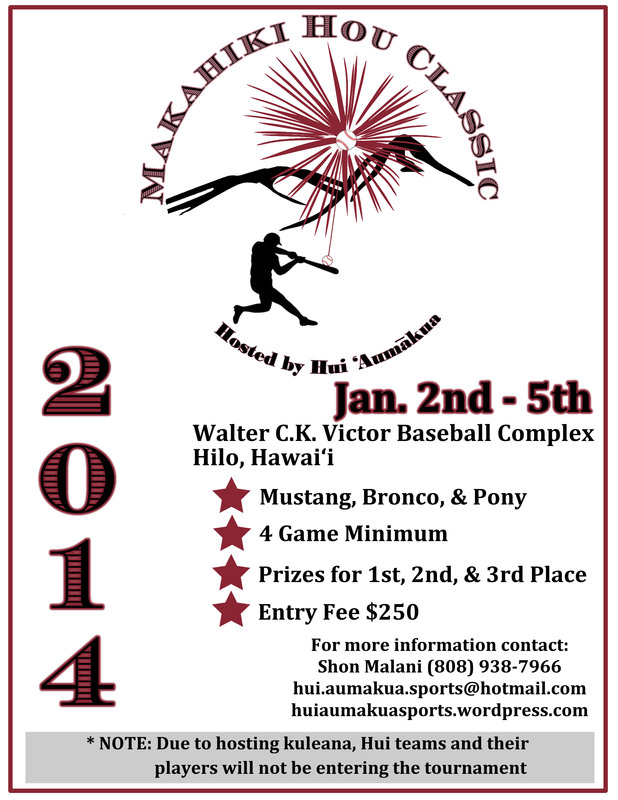 We invite you to enter the first baseball tournament of the upcoming new year, the 2014 Makahiki Hou Classic hosted by Hui ‘Aumākua happening January 2-5, 2014! Click on the flyer below for more information.